Creates a brilliant true blue color! Blue Wing™ is a straight blue, highly concentrated water dye. Blue Wing™ shades and protects, while adding a natural color and an aesthetic appeal to your pond or lake. 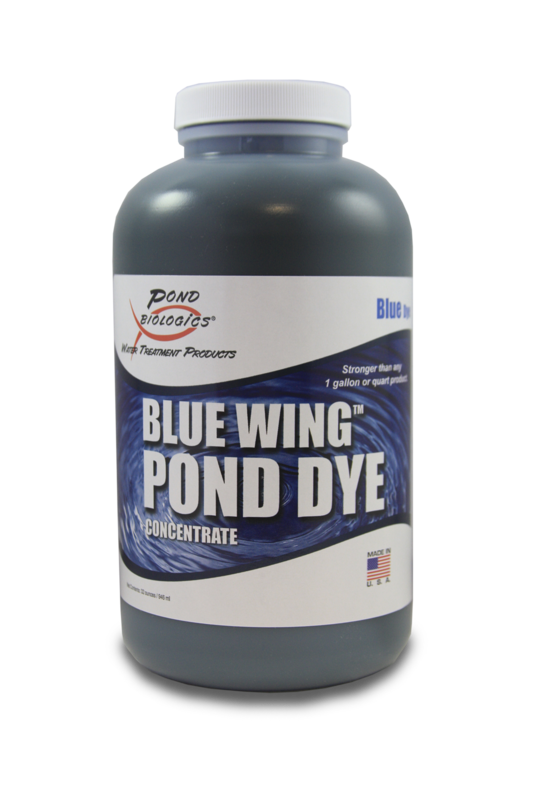 This powerful Pond Dye Concentrate is stronger than any one gallon product available on the market today and will treat up to 1 surface acre 4-6 feet deep. 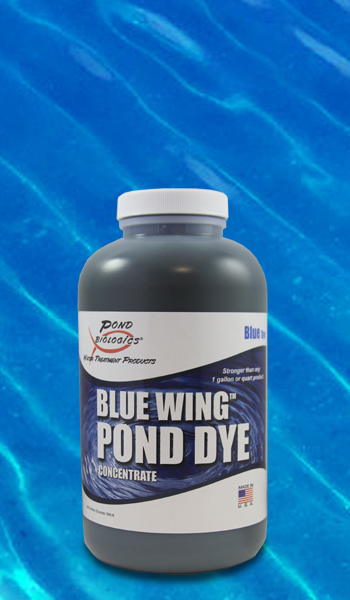 One quart of Blue Wing™ pond dye concentrate will treat four acre feet of water or a 1 surface acre pond, 4 – 6 feet deep.